Looking for a Used G6 in your area? CarGurus has 1,985 nationwide G6 listings starting at $1,790. Good acceleration with impressive economy, stylish looks, and a pricetag that can put you behind the wheel for less than twenty grand have all resonated with the buying public. You'll get significantly less for twenty grand than you would with a fully equipped model, which will come quite close to thirty thousand dollars, and even at that price, you’ll still have to live with spongy brakes, numb steering, generic interior materials, and a mediocre suspension. The G6 is a great value for the money, and overall you won’t be disappointed, regardless of the trim. If you’re looking to upgrade, consider spending your money on some of the creature comforts rather than the sporty options, as you’ll definitely have an easier time noticing where your money went. But if fit and finish are really your thing, you may want to consider an Accord or Camry. 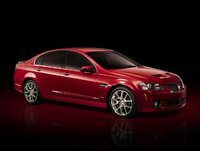 Replacing the Grand Am, the G6 is built on GM’s Epsilon platform, also used in the Saab 9-3 and the Europe-only Cadillac BLS. Well received since its 2005 debut, the G6 receives some upgrades this year, both in look and function, most notably with a four-cylinder engine/six-speed automatic transmission option that pushes its mileage rating to 33 highway. XM satellite radio is now standard across the board, and remote vehicle starting is now standard on GT and GXP trims and available on the Base. GTs get a rear spoiler, and four new exterior paint colors make an appearance in 2009: Quicksilver Metallic, Summit White, Gold Mist Metallic, and Silver Green Metallic. 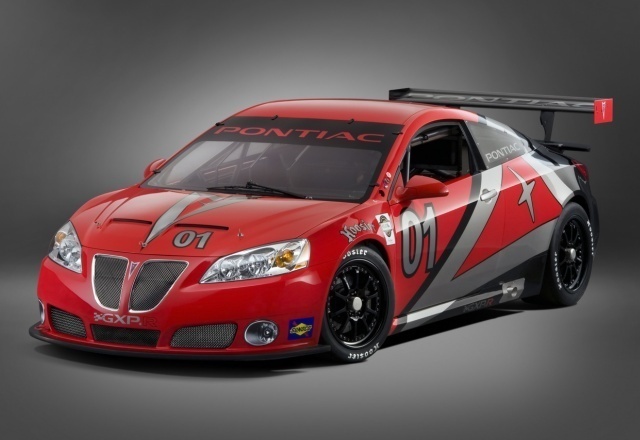 2008's four trim levels make a return: ValueLeader, Base, GT, and GXP. An Ecotec inline four-cylinder 2.4-liter engine is standard on the ValueLeader trim and available on the Base. 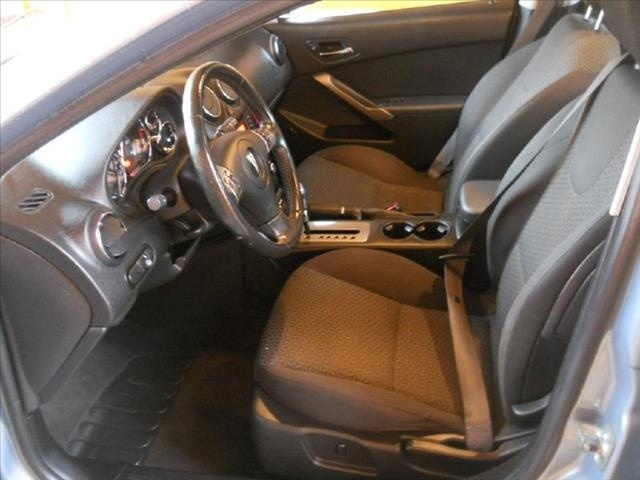 Producing 164 horsepower and 156 lb-ft of torque, it’s mated to a four-speed automatic transmission and delivers a 22/30 EPA mpg rating, which will take you 480 miles on the highway between stops. Pick the optional six-speed automatic, and you’ll get almost 33 mpg on the highway. For a bit of an upgrade, a 3.5-liter V6 is available on the Base trim and standard on all GTs. At 219 horsepower, this engine still gets an EPA mpg rating of 17/26 with a four-speed automatic transmission. This engine has been noted as significantly noisier than other options, as a pushrod, and noticeably so when compared with the overhead cam engines that are almost standard in this class. 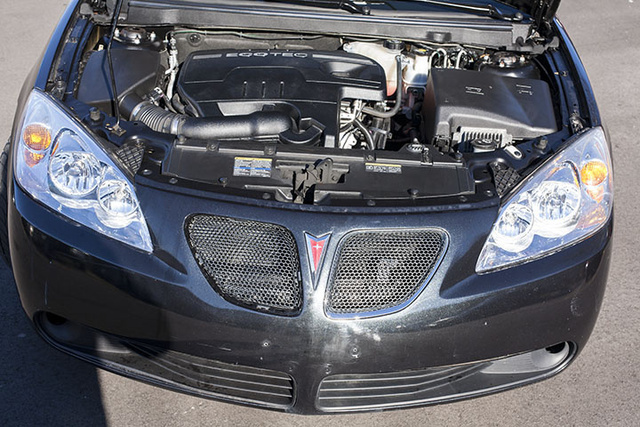 The GXP trims come standard with a 3.6-liter V6 producing 252 horsepower and tied to a six-speed automatic transmission that still has an EPA rating of 17/26 mpg. Additionally, Convertible fans have the option of a final 3.9-liter, 222 horsepower V6, coupled with the four-speed automatic, that gets 15/22 mpg. All trims are front-wheel drive. Regardless of whether you get the standard 17-inch wheels or the available 18-inchers, the G6 rides quite acceptably over smooth pavement and bumps alike, with standard Traction Control for when conditions get less than perfect. A MacPherson strut suspension governs the corners up front, and a four-link independent suspension handles issues out back. While the sport-tuned suspension offered on the GT and GXP trims is noticeably stiffer, it’s still well below what would be considered standard for other sport trims in its class. The Convertible trim especially suffers from the usual body flex, and structural rigidity is compromised over bumps. With 400 pounds more curb weight than the Coupes, drivers feel a difference in both acceleration and steering. Otherwise, steering is more than adequate for the G6, if a bit lacking in road feel. As with previous years, complaints have been heard about the abundance and quality of plastic adorning the interior of the G6. 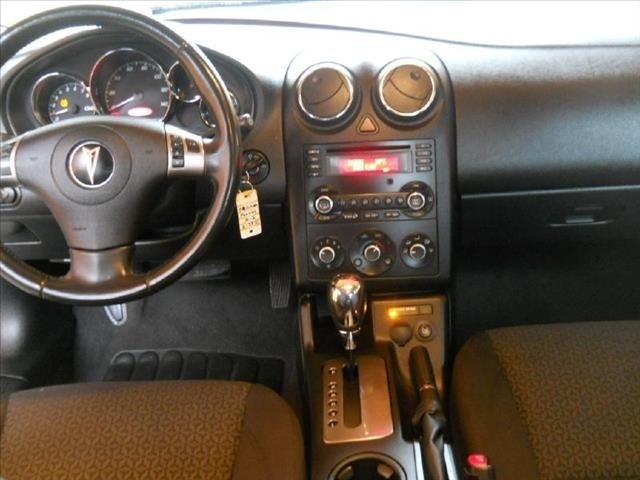 However, gauges and indicators are visible, striking, and well-lit. A premium package upgrades the interior with heated leather seats and a six-way powered driver bucket and is well worth the added expense, if only to dress up the interior. Space has been an issue in the Coupes, as it's distinctly lacking compared to the overall dimensions of the vehicle, especially for taller drivers. If it’s room you need, go with a Sedan. Dual-stage frontal, side impact, and side curtain airbags protect driver and passenger, as well as rear head air bags. Electronic stability control is available for the GT, but not standard, and not even available on the ValueLeader or Base trims. Four-wheel disc brakes are adequate, but lacking in pedal feel, as with previous years. GM’s new OnStar 8.0 is available for all trim levels. The '09 G6 gets NHTSA ratings of five stars across the board, excepting passenger frontal impact, in which it gets four stars. Steering and braking have both been sore spots for owners of previous G6s, and it seems those complaints will only continue for the '09. While it offers a considerable value over the Accord and Camry, especially with any of the V6 engines, many owners feel the G6 lacks a lot in fit and finish to really compete with the imports. Cheap interior materials and a sport suspension that isn’t all that sporty all hurt overall impressions, although the car has been well-received generally. Special praise has been reserved for the hard-top Convertible. 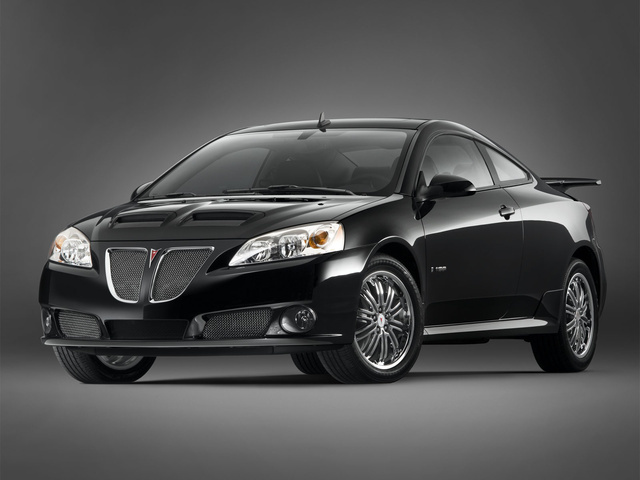 What's your take on the 2009 Pontiac G6? 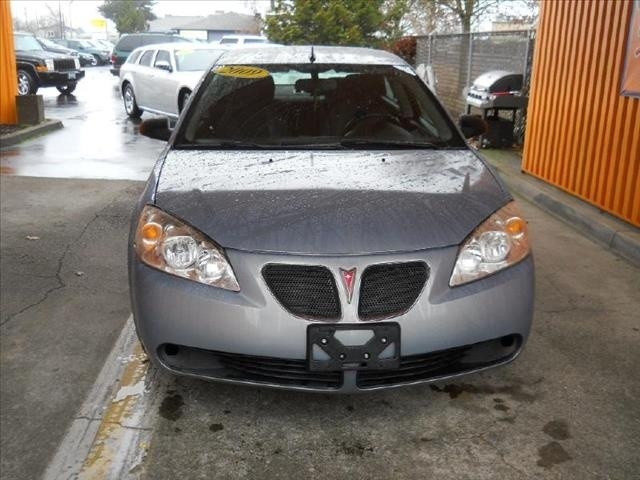 Jodygirl58 I love my Pontiac G6.Currently has 121 K miles on her.Have never had any issues with her. Lovely car and have enjoyed it very much. James I bought my '09 recently at a used dealership, with just a little over 100,000 miles on it. Just about 3 months ago, the lack of maintenance from previoveous owners is now taking a toll on my pocketbook, but overall, had it been maintained accordingly, there is no doubt that it would be in great running shape. I'm investing just over half of the value, or price I'm paying on it, into this car. Many said I'm crazy, but I believe in this brand and I want to invest in it to continue the great ride it offers. I'm overhauling/ rebuilding the V-6, the suspension, roters/ drums, breaks, bearings, shocks/ struts and all outer components of the V-6. After that, I will continue to invest in cosmetic up grades , not because it looks bad, but because I so choose to have fun with it, give it a fresher look and invest until I feel that enough has been done to it. I will attempt to update those interested in my progress with it and whom may want ideas or suggestions. I'm learning as I go, but determined to understand my car and its components, to better understand the reliancy this car has. In a nutshell, it's as good and reliable as you treat it. 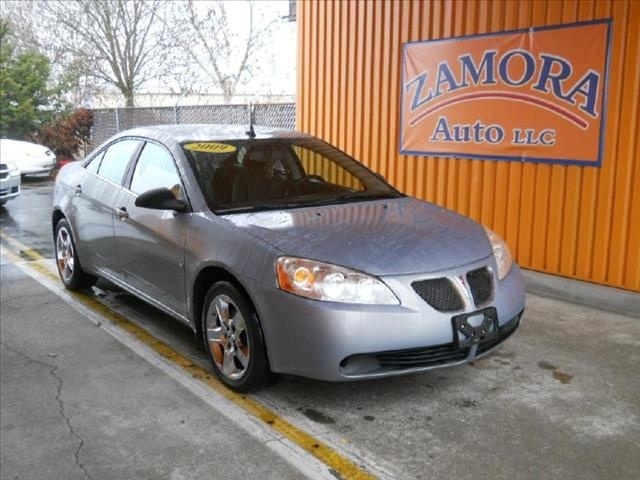 Have you driven a 2009 Pontiac G6? 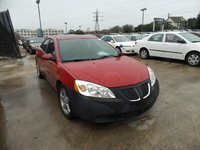 Pontiac 2009 G6 Starts And Dies Immediately.? I have a 2009 Pontiac but none of the Windows don't work please someone help what should I do frist? 2009 pontaic g6 power steering goes out whenever it wants to. Shut the car off restart comes back. Steering wheel shakes. Rattling noise under the hood close to the steering wheel. Is It The Starter Or Battery?